This is Red-flowering Currant (Ribes sanguineum), one of the great flowering shrubs native to the Pacific Northwest. I captured this photo last March while hiking the Bowman-Rosario Nature Trail in Deception Pass State Park. They love growing in the sunny forest edge along the bluff over Bowman Bay. They can also be found growing at Lighthouse Point, on the sunny side of Deception Pass itself. Like Oregon Grape, they begin blooming in early March. Both are welcome signs of spring. The flowers will persist into June. For the first time, I have discovered fruits beginning to swell on the plants in my yard. 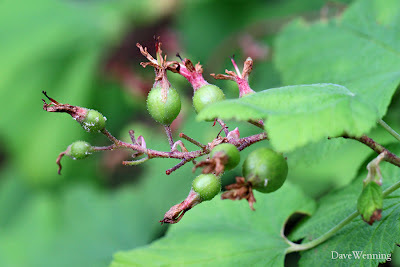 Both wild plants and cultivars are producing berries. Our chilly and damp spring may have provided the right conditions or perhaps my plants are now mature enough to begin fruiting. This is one of my wild plants that came up on the west side of the garage. I have terrible soil and it is especially bad in this spot. Dry, rocky and infertile, it is much like concrete and will hold no moisture whatsoever. 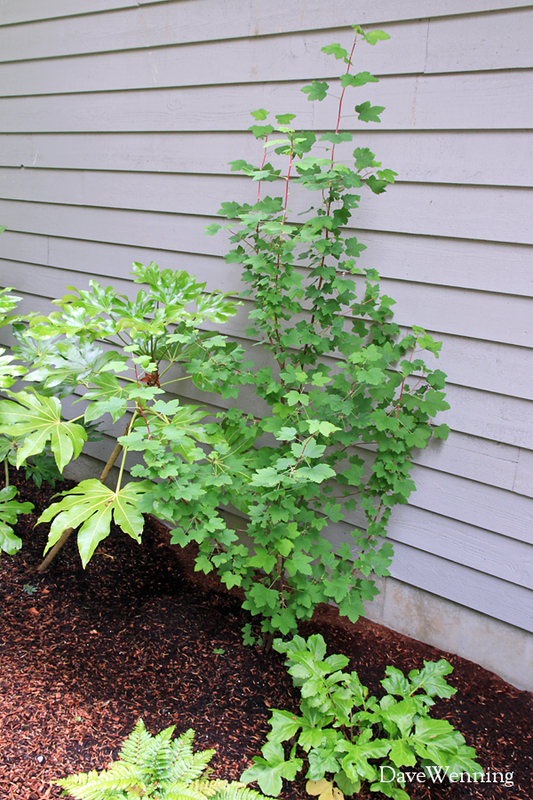 While the other plants struggle, the native Red-flowering Currant thrives here. I have never seen any signs of disease or damage by pests. Currants are members of the Gooseberry family. 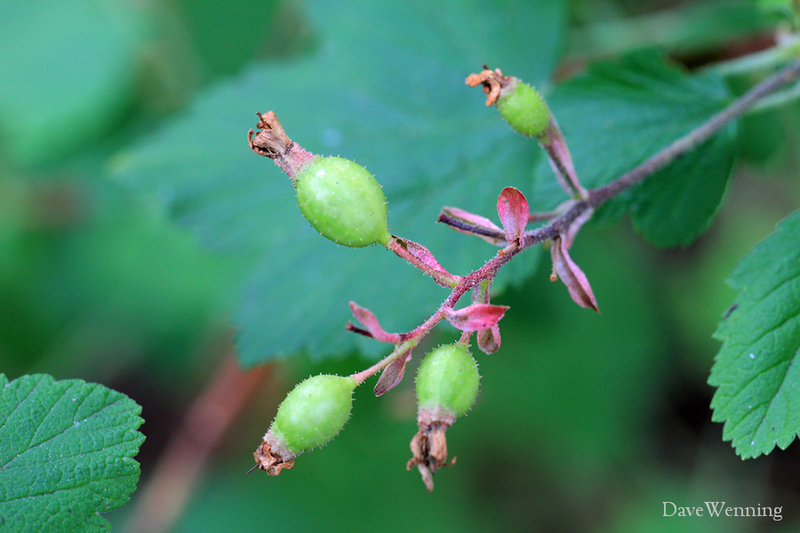 Gooseberries have thorns, Currants do not. Several sources describe the taste of the fruit as "insipid." I think that means they have no flavor at all. I may have to try one to best understand it. The birds, on the other hand, will enjoy these fruits and perhaps give me more seedlings. 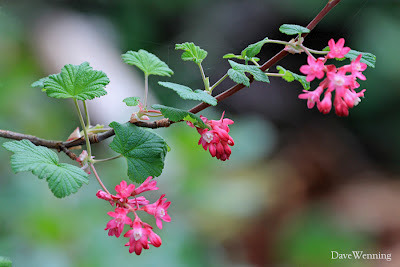 If you are looking for a nice flowering shrub that is drought tolerant, attractive to birds and resistant to local diseases and pests, you won't go wrong with the Red-flowering Currant.